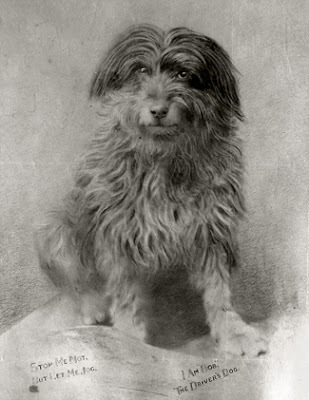 Bob was a scruffy brown stray, bought on impulse by a railway man as a gift for his wife - but born with wandering paws and destined to make his mark on the railways as he travelled across Australia as far afield as Queensland, NSW and Victoria. 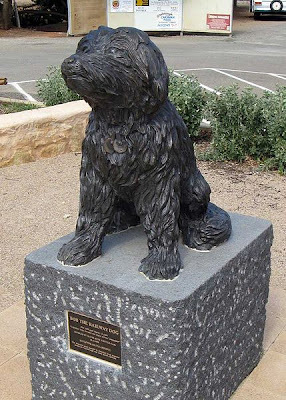 Recognised near and far for his cheery bark, waving tail, and devotion to train travel, Bob quickly became a beloved member of the tight knit railway community. 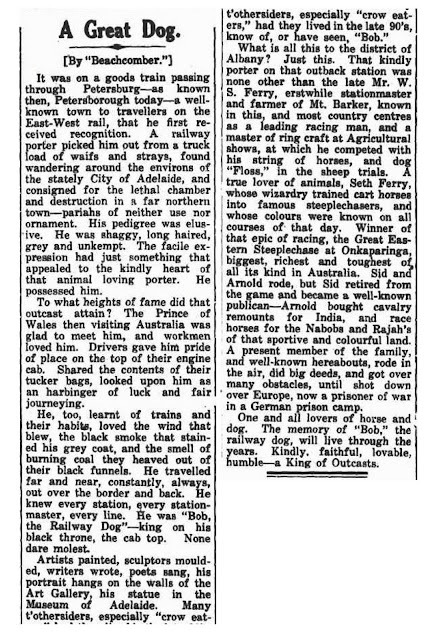 According to the Petersburg Times: "His favourite place on a Yankee engine; the big whistle and belching smokestack seem(ed) to have an irresistible attraction for him....he lived on the fat of the land , and was not particular from whom he accepted his dinner." He did not like suburban engines, because of their cramped cabs, but was known to clear out third class compartments for his sole use by "vigorously barking at all stations, usually succeeding in convincing intending passengers that the coach had been reserved of his special benefit". "His bark was robust and often caused strangers to believe that he was being aggressive when he really intended to be friendly." 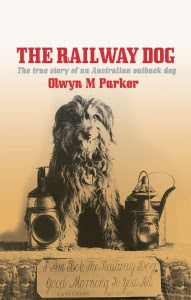 A book has been written about Bob's exploits by Olwyn M. Parker and published this year by Brolga Publishing. And of course a statue has been erected in his honour at the Peterborough Station.